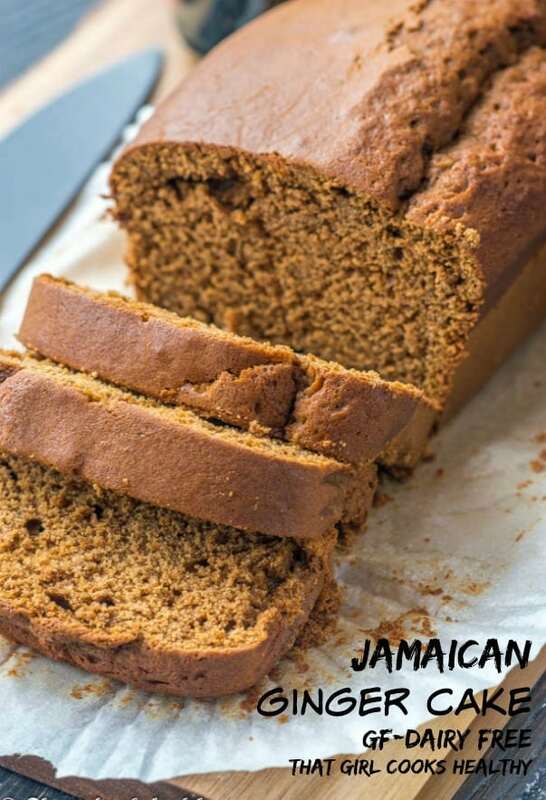 Jamaican ginger cake recipe – Learn how to make this gluten free version of this delicious, moist, spiced infused Caribbean cake. I think it’s about time that I introduced you to another Jamaican classic cake. 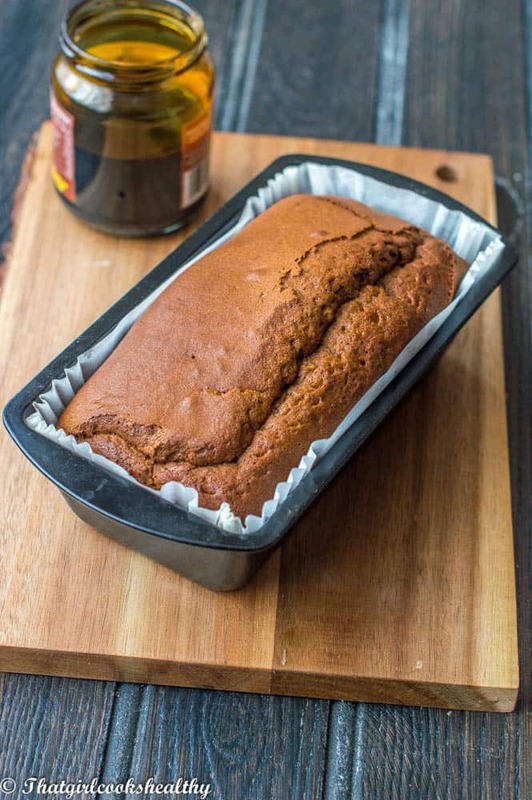 This one is a mouth watering Jamaican ginger cake aka Jamaican gingerbread cake, made from scratch and great to serve at a family gathering. 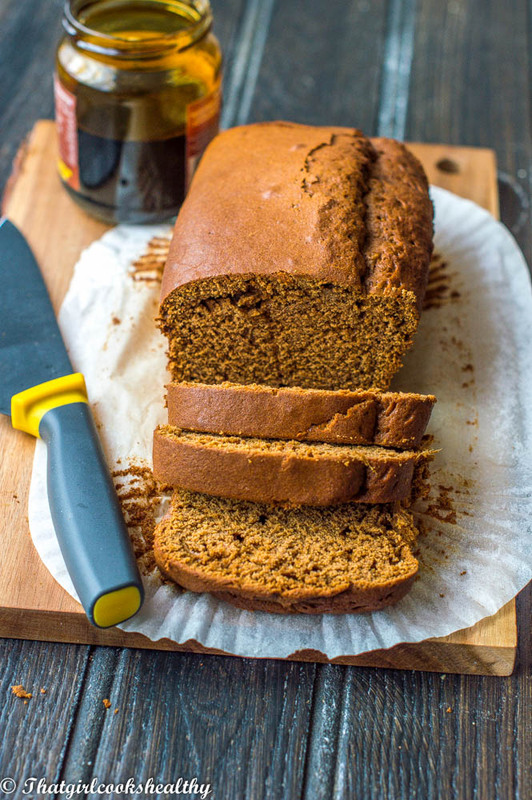 I promise you will fall in love with this seriously moist ginger cake after one serving. When it came to baking sweet treats and desserts, my grandmother was the queen of whipping up cakes. I have fond childhood memories of my sweet grandma making toto (coconut cake), sweet potato pudding and cornmeal pone. 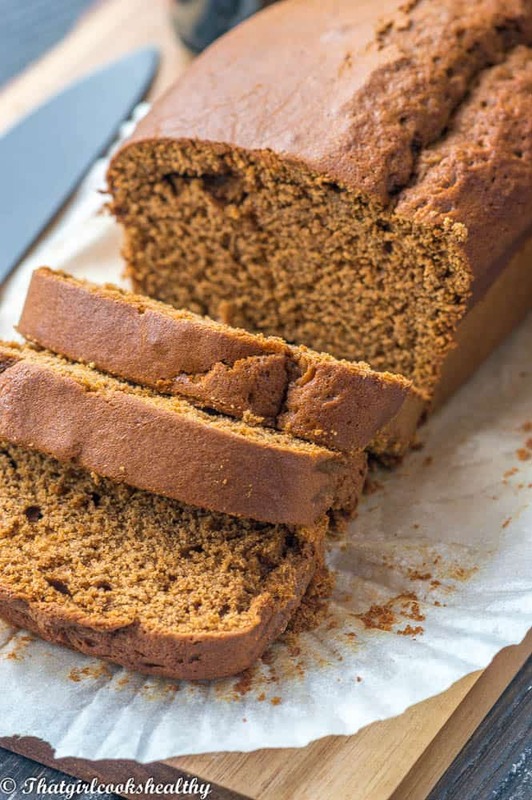 Ginger cake was a favourite of mine so I used to love Sundays when my grandmother would tell me that she was going to bake some cake. I would always put in my request for some ginger cake. Unlike the store brought Jamaican ginger cake, true Caribbean gingerbread is moist but not sticky at all. If you’ve tried both cake you will immediately tell there a distinct difference and that’s because the factory clone recipe has been adapted to something much more sticky (taste too sickly in my opinion). I made the entire recipe using my stand mixer, however if you do not own one then simply use an electric hand mixer instead. Cream the butter with the sugar – The first thing you will need to do is cream the butter and sugar together. You will need to do this using room temperature butter so it’s able to actually cream with the sugar. I do this using the highest setting while I continue weighing up the additional ingredients. Let the two ingredients cream for a few minutes before moving onto the next step. Add the eggs and fresh ginger – Crack both eggs in the same bowl and combine with the fresh ginger and vanilla extract. Then add the eggs to the butter/sugar mixture which should start to turn into a liquid/slush. The molasses – The molasses is what gives the cake that uber dark hue. Molasses is naturally a thick consistency, what I did was melt the molasses in 1 cup of hot water so it’s easier to work with. Flour blend and spices – The spices should all be added to the gluten free flour prior to moving onto the next step. Is this cake freezer friendly? Yes, cut into slices and wrap up in a freezer friendly bag and freeze for up to 6 weeks. 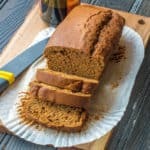 Can I make a vegan version of this ginger cake? 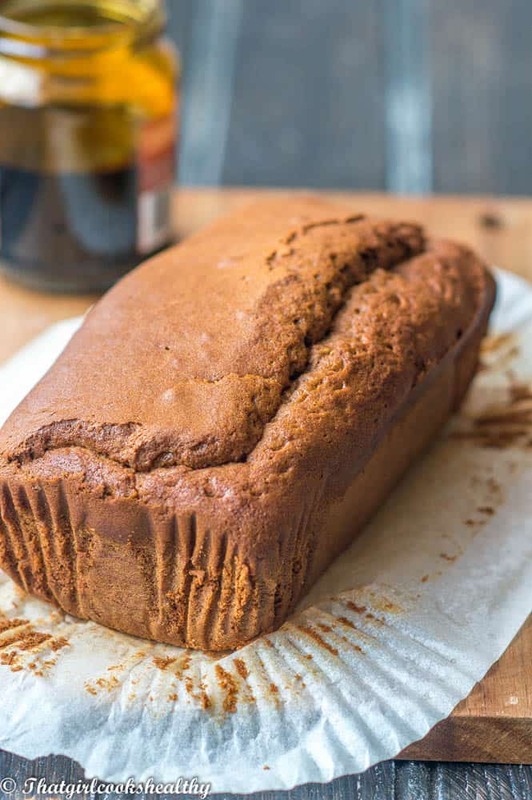 I personally haven’t tried making it myself but I do know lots of vegans who make a similar cake using flax eggs/olive oil or banana in place of animal eggs. Make that change and it should work following the same steps. Add the eggs to the mix, meanwhile prepare the GF flour by adding the baking powder and soda, pin salt. Add the remaining spices to the flour blend, now add half of the molasses and flour to the mixer. Add the rest of the flour and molasses to the cake batter than divide the batter into two loaf tins.